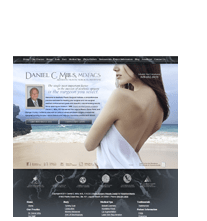 Certified by the American Board of Plastic Surgery, plastic surgeon Daniel C. Mills, MD in Southern California has recently opened an office in the Salmon, Idaho area. Dr Mills, offers a comprehensive range of breast enhancement procedures, including breast augmentation, breast lift, breast reduction, gynecomastia treatment, breast reconstruction, breast revision surgery, and more. Plus, Dr. Mills also offers an array of aesthetic enhancement treatments that can rejuvenate your facial appearance, recontour your body, and help you attain the look you desire with beautiful results. Please contact our cosmetic plastic surgeon in the Salmon and Sun Valley, Idaho area. Dr. Mills will be happy to speak with you and answer any questions you may have.